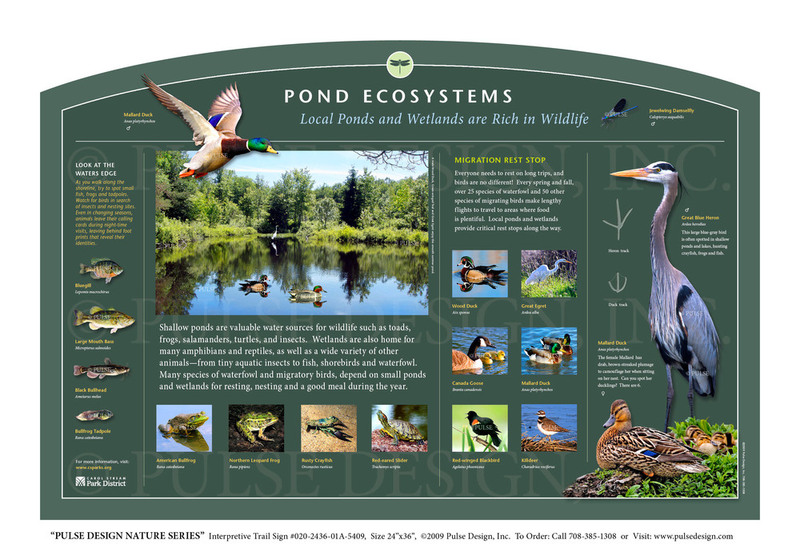 WELCOME TO PULSE DESIGN, INC.
We've Been Bringing People Closer to Nature for Over 20 Years! We are a full service graphic design firm located just south of Chicago. 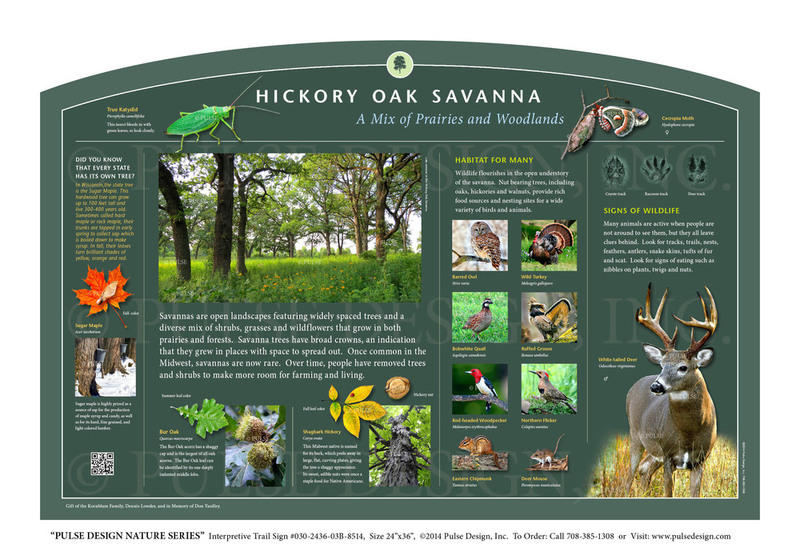 We have over 20 years of experience in creating beautiful exhibits, outdoor interpretive trail signs, custom maps, brochures, logos, websites, and interactive pieces. 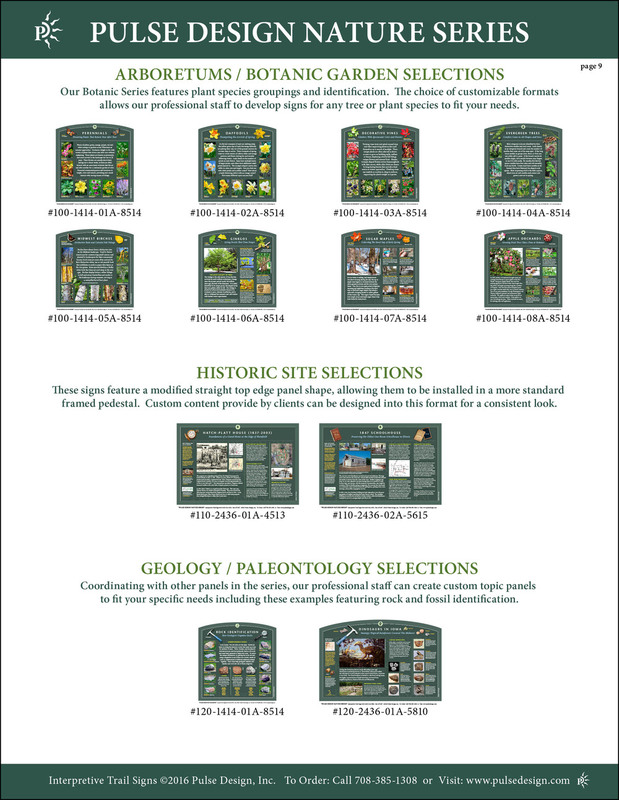 We have a passion for nature related design and have had the privilege of creating a large body of work for museums, arboretums, forest preserves, parks, and schools. Photo Above of Orange Leaf Trail Head, Veterans Memorial Trail Project.